The first time I downloaded Snapchat and tried to figure out how to use it I just didn’t get it. It made no sense to me and it made me feel like a luddite. I was intrigued by it because you could make videos with it and Youtube is my thing, but it was like an odd mythical creature that only communicated with tweens. A few months later I kept seeing my good friend Kate of Adventurous Kate talking about it and posting about it everywhere. 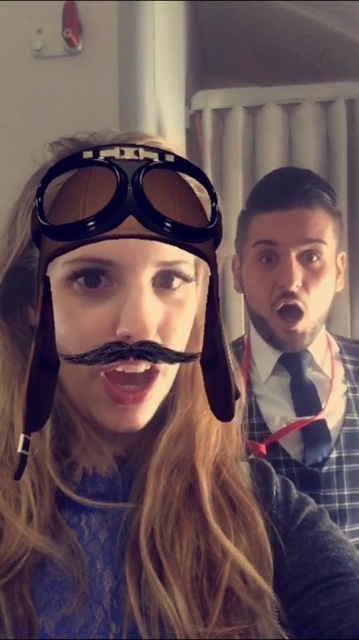 Then at our BlogHouse in June she even did a little presentation on Snapchat and I gave it another try. I soon became addicted, after I finally figured out how to use it and as cliche as it is, the rest was history. 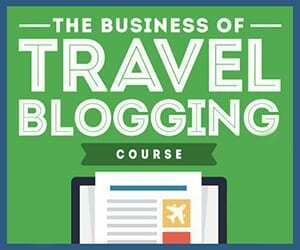 More and more travel bloggers are using it now as another great and more authentic way to communicate with their audience. 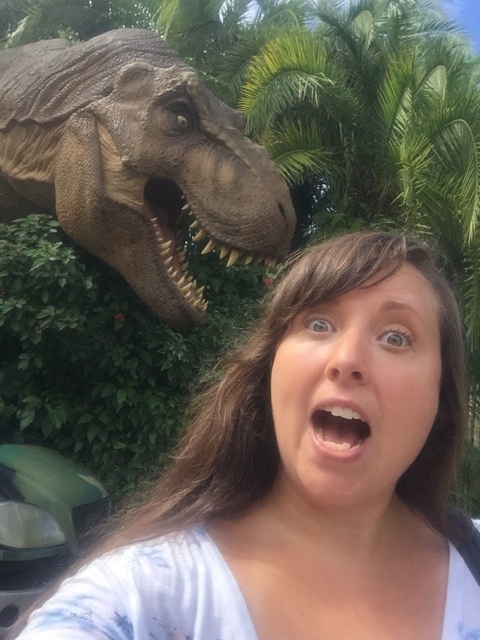 I have been following a LOT of these travel bloggers and I have corralled a few here today for you to give you the travel bloggers best tips for using Snapchat. **note: To follow all of these lovely people, it is easiest to read this article on your phone and click on each person’s Snapchat name and you will be taken right to their profile in the app where you can easily add them. Tip: Look into the lens. If you are constantly watching yourself on your screen while recording, or checking the red circle to see when you might get cut off, you’re not looking at your viewer. Your audience will be far more engaged if you are looking into the lens and making eye contact with them. Tip: Pan Slowly. Most of the time people pan quickly to maximize the 10 seconds and it ends up being a blur. Also be sure to mix up your story with videos and stills – I like to do 2 seconds in length for photos without text and 4 seconds in length for photos with text. 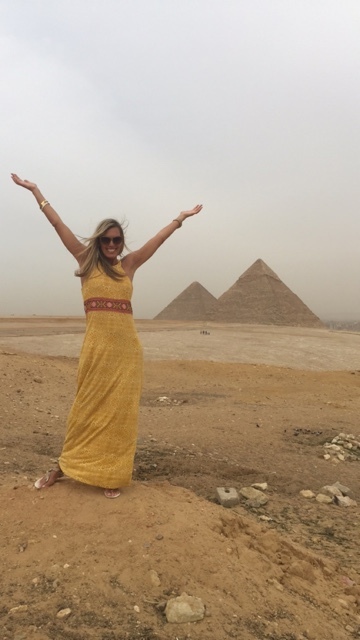 Tip: Mix mundane, seemingly uninteresting aspects of your daily life with travel tidbits. Many people are voyeurs and like seeing who you really are without all of the pomp. 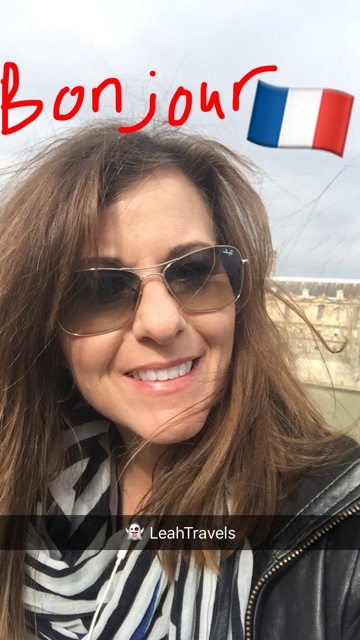 I’m pretty polished on all of my other social media channels, but on Snapchat, you’ll see me with no make up and a thick Texan accent, posting ridiculous things I see on the metro, as well as informative antidotes from around Paris. I love Snapchat because I’m able to share things that I’d never post on Instagram or Facebook. Tip: Show your face! With so many Snapchatters to follow these days, it’s easy to lose track of who’s who. 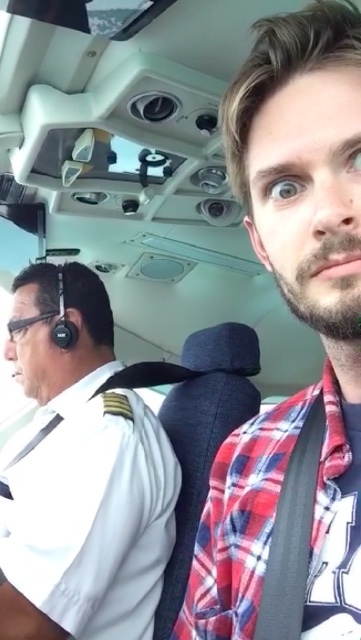 If you don’t put a face to a name, how is your coffee/beach/airplane snap any different from the next person’s? Make sure to show yourself on camera at least once a day so your viewers remember exactly who you are, and to keep your audience more engaged with what they’re viewing. Tip: Be selective! I know the urge to snap every little detail while traveling can be strong — after all, everything can seems 10x cooler when you’re experiencing it for the first time — but be selective with what you snap. 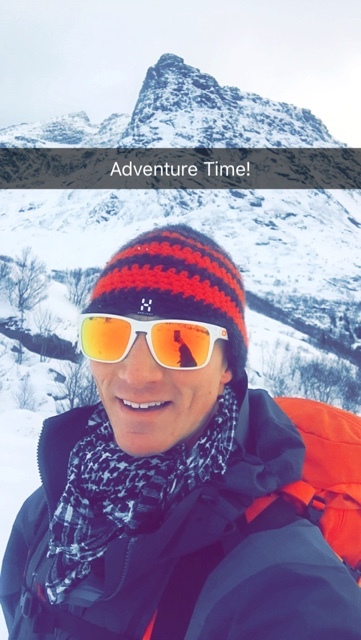 Sure, part of the fun of snapchat is occasionally posting the random and ridiculous ‘daily life’ moments in between the amazing travel moments (at least it’s fun for me), but when it comes to snapping about travel, give your viewers the best of the best, inform them, entertain them, but don’t saturate them. Tip: Always have a story – it’s important that, regardless of whether you’re hiking a mountain, taking a night bus or just chilling on the beach for the day, you always have a story to share. This can be difficult if you’re really not doing anything particularly exciting, but having a story is essential if you want to build a following and keep your followers coming back for more. It can be something as simple as sharing what you’re having for lunch or snapping while your collecting your laundry…you just need to tell a story! Tip: Resist the urge to be boring on Snapchat. 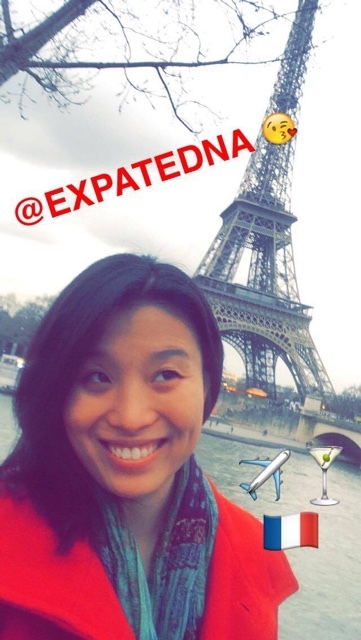 A tip for travel bloggers, you should be snapping around the world, interesting places/foods/people/etc. Don’t snap just so you have something on your Snapchat story. No one wants to see you cook breakfast or take your dog for a walk. If you are in between trips just tell your followers that and wait to snap until you are doing something more interesting. It could even be a fun event/restaurant/beach in your hometown, just don’t be boring! Tip: Tell a story. I love being able to give a full 360 degree view of something, whether it’s a new hotel or a really dope farmers market. Try to think of it like you would a good film. Have an introduction with you telling your viewers where you are, an establishing shot showcasing the destination in full, and all sorts of fun detail shots that might teach people something new and gets them excited about what they’re seeing. Be authentic. 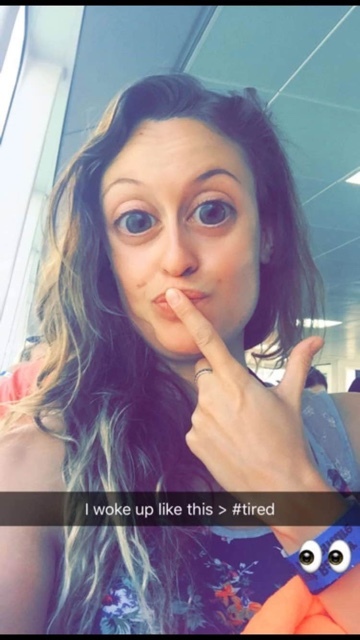 The reason that Snap is fun is that people can see you unedited, so if you goof up, don’t delete your snap! Roll with it. Limit the selfies. I think the selfie can be a wonderfully empowering thing, but honestly, there’s more me than that. And honestly, when I’m traveling, I find that the local people and the scene surrounding me is SO much more interesting than my new shades, so I try to really paint a picture. Be conscious of your speech patterns. I’ve noticed myself saying “so” at the beginning of Snaps quite regularly, and have had to train myself out of it. It’s good practice! Have fun! There really are no rules for Snap, that’s why it’s so wonderful. Try not to overthink it. It’s gone in 24 hours after all! 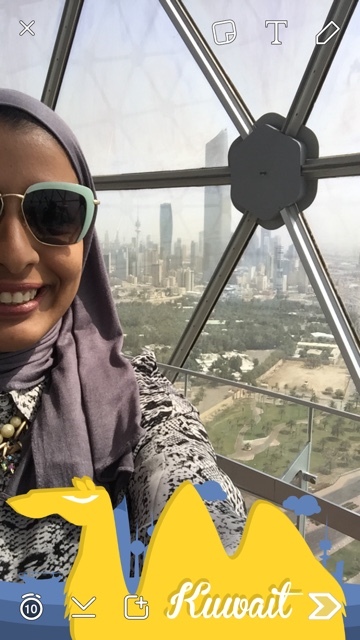 Tip: Check and use the Geofilters of the destinations you travel to. When traveling start off your morning with a Good Morning followed by the name of the destination, remember that you always have new followers who would love to know where you’re snapping from. Share interesting information about your destination with your followers. When you’re home and not traveling, share travel advice, quotes and motivations! 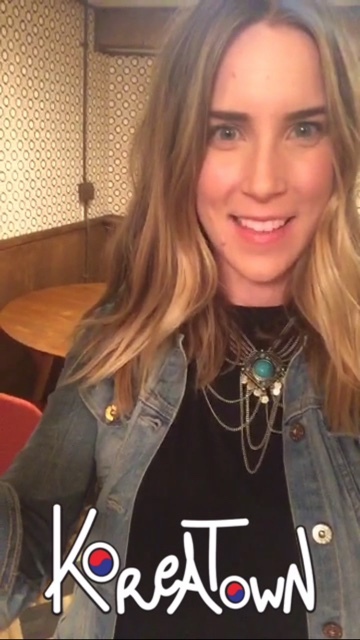 Tip: Keep your stories short and fun with Snapchat. I think the sweet-spot is a story that’s no more then a minute or two long, using a healthy mix of both video and photos. Get your audience involved too. Ask them for advice. Ask them about their day. Ask them what they’d like to see you snap about! Tip: Think of ways of capturing attention aside from the everyday filters and straight-to-camera pieces. I love adding music with lyrics that match perfectly with the scene – normally for a comedy effect. You will need a second device for this, so I normally use a fellow traveller’s phone and hold it close while I’m snapping. I am also a fan of turning popular phrases and hashtags on their head, which many use in a serious and posed context. Look out for my sarcastic takes on “I woke up like this” as an example. There’s no rules for Snapchat, and with room to be more carefree and silly, there’s many ways to have fun and find ways to let your everyday personality shine through without having to snap every single second of your day. Tip: Show us your face! Yes it’s going to feel weird in the beginning, and yes it’s going to be uncomfortable. People connect with people, not a heart in your latte, or your cat in the shower. 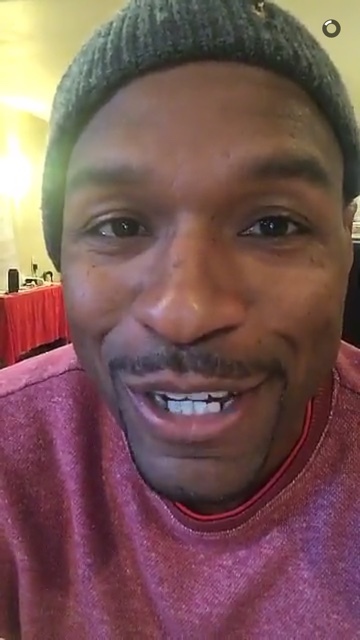 Snapchat is the perfect place to practice speaking on camera. Have some fun with it and hang out with your followers by talking to them face to face. Tip: Be genuine. Snapchat is the only social media platform where being yourself is the whole point– to get the “behind the scenes” take we don’t see in those manufactured instagram photos and blog posts. When a blogger waxes poetic over the 10th waterfall of the day or feigns child-like wonder over a snowfall (seriously, we’ve all seen snow before), it comes across as inauthentic, and more importantly, boring. Now’s your chance to tell us what you’re really thinking, to be creative, ridiculous or even vulnerable. Make mistakes and don’t worry about the consequences because the beauty of this emphemeral medium is that it all vanishes in a day’s time anyway. Tip: When posting on Snapchat make sure to add a little text. Often times people watching might have their sound off, so adding some text will add context to your snaps and perhaps make people want to watch more. I like to put some sort of text with all my snaps to either ask a question, let people know what my snap is about at the beginning or to give a heads up as to where I am. An easy way to let people know where you are is to make sure you go into your settings to allow filters and geotagging. You will have some fun things come up when you swipe to the right of your snap like today! 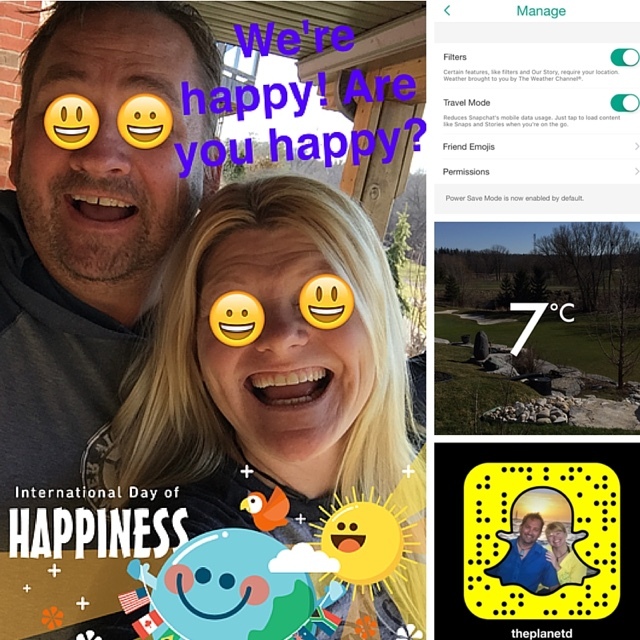 We found out it was the International Day of Happiness and it was only 7˚ outside. Brrr. Play around and have fun. Tip: Just be you — let your personality shine through your snaps and don’t try to hard to impress anyone. People will start to love you for who you truly are! Tip: 1) Try to tell an engaging story in 3-5 snaps. 2) Show your audience the location you’re experiencing. Your audience knows what you look like so too much face time can become boring. 3) Show something fun because you could be the escape for someones bad day. 4) Always reply to private snaps. 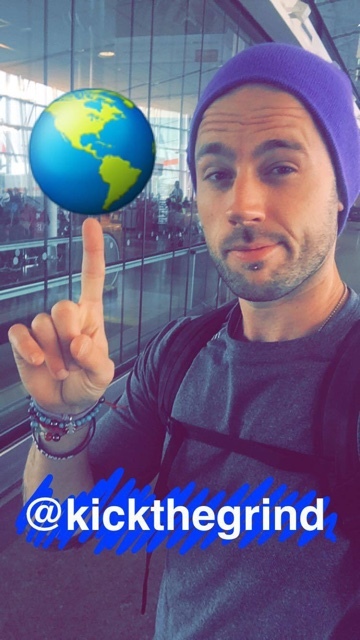 5) Giveaway things in your snaps like post cards if you’re traveling. Tip: Think of ‘your story’ not just ‘your snap’. Instead of posting single snaps – be creative and imagine where the story could go. As an example, a bellman knocked at my hotel room door to collect my luggage and through spontaneity and luck – I set him a crazy challenge to dance to Justin Bieber. He did it and my audience went crazy for it! So many responses! It’s these fun moments that take your audience by surprise that will encourage them to tune in daily. Tip: Don’t repeat the same filters/features too often, as your followers will be bored of them. For instance, how many times do people want to see you jumping into the water backwards with the reverse feature? Probably not every day. Special thanks to all of the bloggers who contributed to this article. You can see that many of the tips were similar variations but this just shows you how important those tips are. Some of these tips also contradicted each other which of course also shows you that there are many ways to use the app but these should be a good guideline. Also it is important to remember that just like with Youtube, Snapchat isn’t for everyone. If you don’t like it or don’t enjoy it then don’t force yourself to use it. One last tip that I will add myself is make sure you allow your followers to message you on Snapchat. If your followers can’t chat or at the very least send you a DM then you are using Snapchat as a soapbox. Not only does allowing them to message you create a better community with your followers but it is also a great sign to know if people are enjoying what you are snapping. I follow a bunch of huge Snapchat accounts like Shonduras and Mplatco and they allow their followers to DM them and even they can manage to respond from time to time with hundreds of thousands of followers so surely you can too. 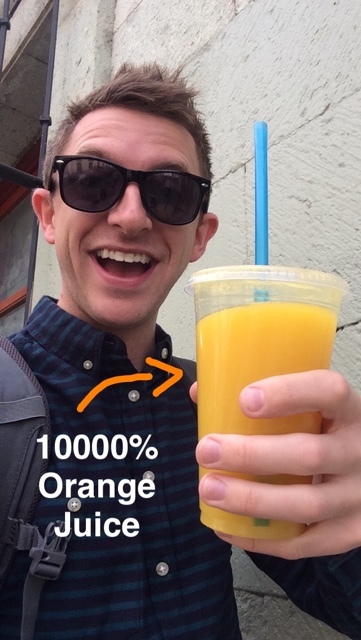 Do you have any other great Snapchat tips? Share them in the comments! I have actually never used Snapchat before, but am considering jumping in, so I found all the tips in this post to be REALLY helpful–definitely gives me a lot to think about. Any ‘new’ social media channel is always a little intimidating to start out with. Glad this post could help you! :) It’s a great app when you get the hang of it! Loved this post and following you all! 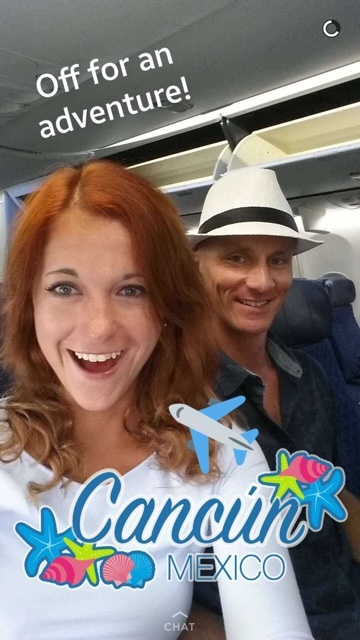 (melodytravels) Cailin, you are the Snapchat bomb! 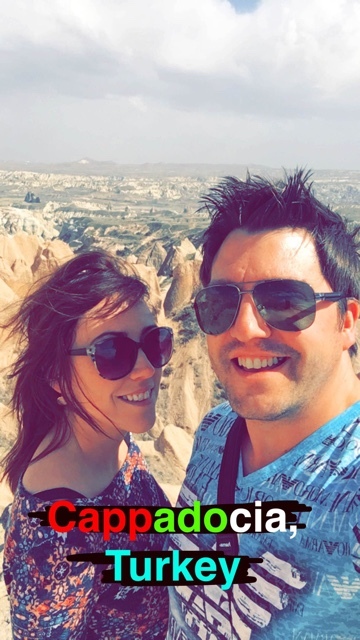 Love your snaps! 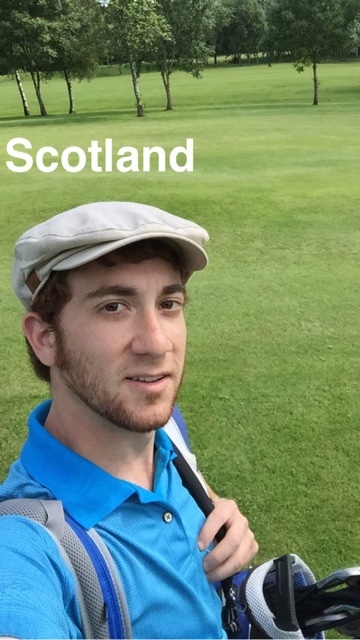 Snapchat is an interesting app … I gotta try it out and see if I can make it work for my blog! You know, I know that not everyone will agree on every point, but I happen to disagree vehemently with Hannah’s suggestion that you not snap unless you’re actively traveling or doing something interesting. 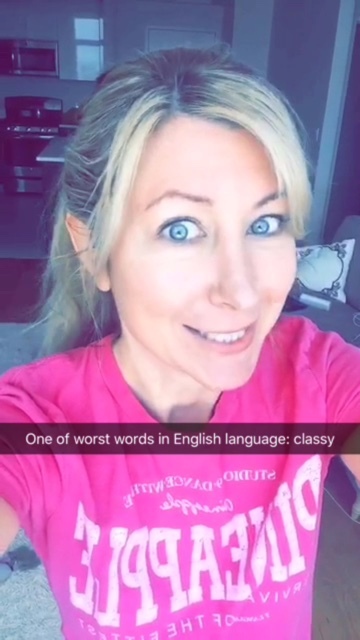 Snapchat is all about making the mundane entertaining for your readers. It’s an open door to sharing stuff that’s funny or interesting or different. And some of the most popular snaps I do are when I lead makeup tutorials or I cook a recipe, despite all the interesting travel destinations I visit. You can make ANYTHING interesting if you’re a good performer. That’s the challenge. And I think going dark is a mistake. Very true, I think where I live is a unique and different place that can be just as entertaining at times as my travels. However a lot of my time at home is spent on my couch with my laptop so when I do snap at home I try to make a nice little story out of it. So I might not snap every day at home but I try keep it up even when not on the road. Oh, I learned quite a few new things from this post. Thanks for asking for my tip, and keep making me laugh on Snapchat! I’ve had an annoying lack of geotags recently. Can you believe there’s none for Kiev? How did you make that one for St. Patrick’s Day? I made the geofilter with a photoshop program and then I paid for it as my own geofilter at a certain location for a specific time. You can apply to make them on snapchats site :) Pretty easy and fairly cheap! I just found your blog through your Youtube channel and subscribed – I love it! Love this — lots of inspiration here. Thanks Cailin! A few tips I need to work on! Thanks for getting this post together and having me be part of it. 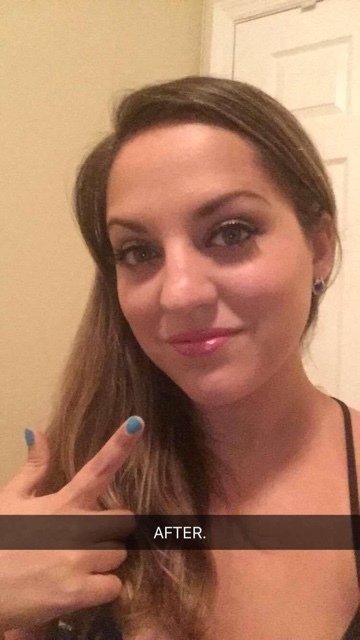 Fun post Cailin– love your tip about allowing followers to message you. 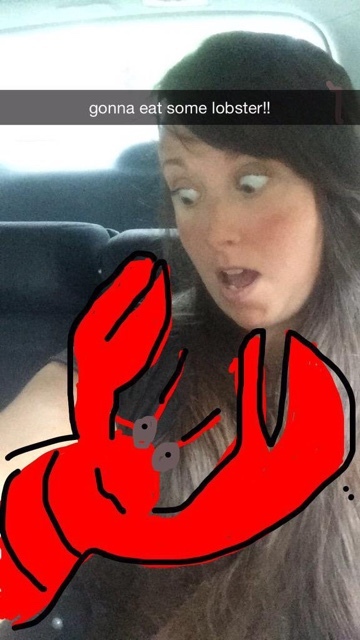 And great lobster photo, your snaps always keep me laughing!